A Calgary glass-blowing studio is giving people a concrete way to remember deceased loved ones by turning their ashes into pieces of art. 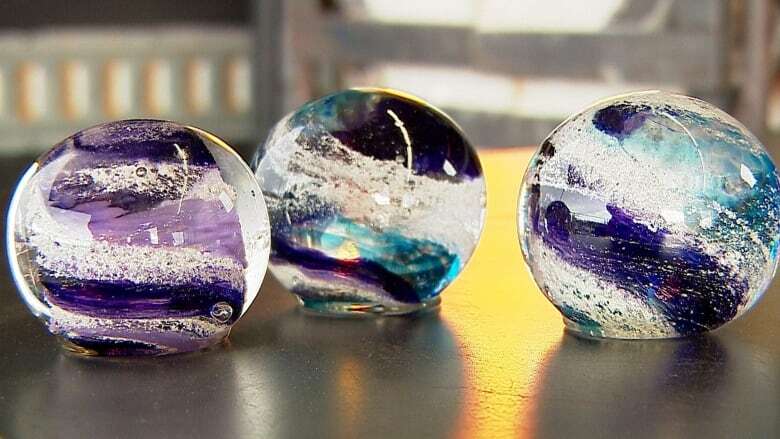 A Calgary glass-blowing studio is giving people a concrete way to memorialize their deceased loved ones by turning their ashes into pieces of art. "We wanted to think outside the box and do something a little different," said Mandy Patchin. 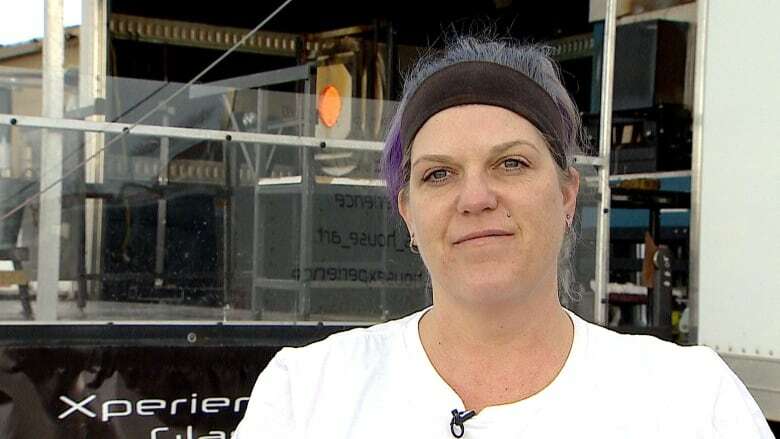 Patchin's mobile studio, Glass House Xperience, travels around Western Canada, collecting the cremated remains of people's loved ones or pets and turning them into art. The glass objects come in a variety of shapes and colours, from small beads for jewelry to vases. "I think glass in and of itself is a beautiful medium … it's just nice to have something you can hold in your hand and remember them by," Patchin said. The artist said no two pieces are the same, and each one is hand-delivered to the person who ordered it. Jamie Johnston wanted to give her adopted children a way to remember their biological father, who passed away last year. "I think it's important they can remember and have something they remember him by, more than just pictures," she said. She thought about getting them a piece of jewelry, but that didn't seem right. So she sent two teaspoons of his ashes to Glass House Xperience, and had the artist craft a glass heart for each of her children, in their favourite colours. "I thought the heart really represented where this was coming from … it's a beautiful tribute," she said. 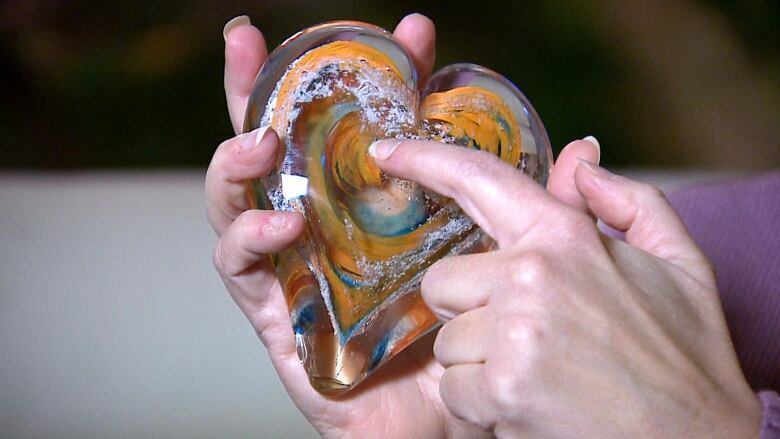 She plans to give the hearts to the kids on Christmas, as well as glass hearts for their grandparents. "I wish I could be a fly on the wall when someone receives that for Christmas because it's such a sentimental gift … for me, I love the fact that we can create that for someone, because it's a memory," said Patchin.